It is a very minimal and delicate bracelet perfect for an everyday look!! 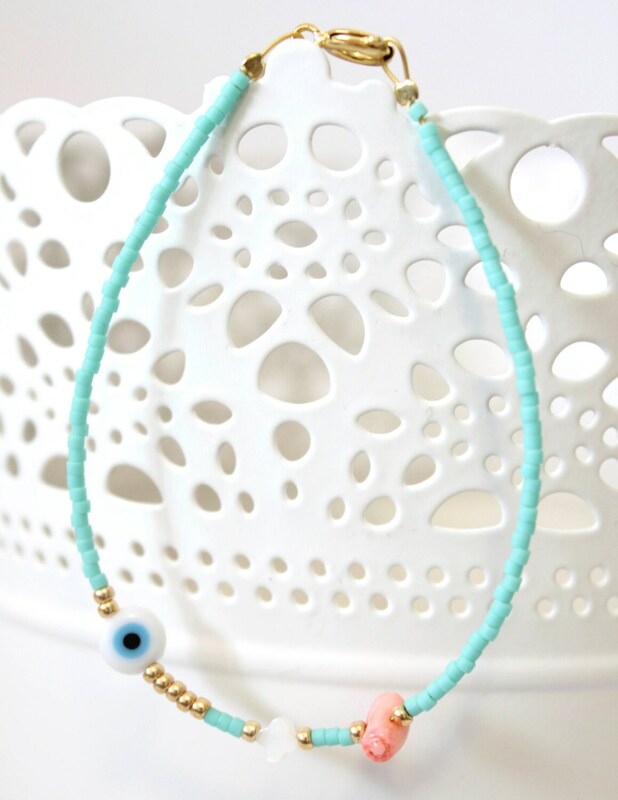 This Bracelet is made with tiny and delicate sea green beads ( or you can choose your color) an evil eye, a pink coral bead and a tiny mother of pearl clover combined with gold beads. The measurement is 17cm or you can convo me for your preferred size! Please visit my shop for more delicate little things! !